Maastricht ([maːˈstrɪxt]; Limburgish : Mestreech [məˈstʀeˑx]; French: Maestricht ; Spanish: Mastrique ) is a city and a municipality in the southeast of the Netherlands. It is the capital and largest city of the province of Limburg, as well as the largest city in the historical duchy of Limburg, that today spans the Netherlands and Belgium. Maastricht developed from a Roman settlement to a Medieval religious centre, a garrison town and an early industrial city. Today, Maastricht is well-regarded as an thriving cultural and regional hub. Maastricht has 1677 national heritage sites (Rijksmonumenten), which is the second highest number for a Dutch town, after Amsterdam. It has become known, by way of the Maastricht Treaty, as the birthplace of the European Union, European citizenship, and the single European currency, the euro. The town is popular with tourists for shopping and recreation, and has a large growing international student population. 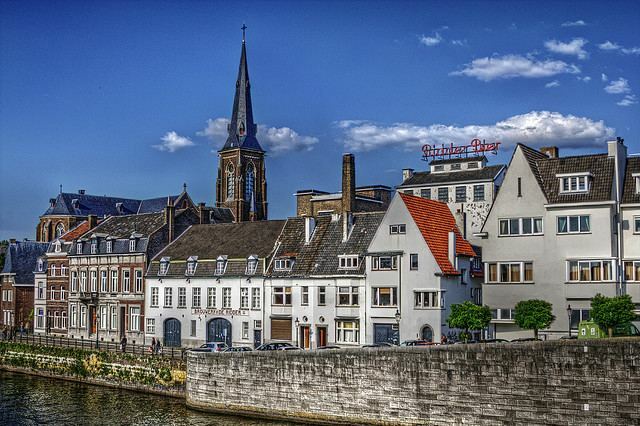 Maastricht is a member of the Most Ancient European Towns Network and is part of the Meuse-Rhine Euroregion, which includes nearby German and Belgian cities Aachen, Eupen, Hasselt, Liège and Tongeren. The Meuse-Rhine Euroregion is a metropolis with a population of about 3.900.000 and counts various international universities. The name Maastricht is derived from Latin Traiectum ad Mosam (or Traiectum Mosae), meaning 'crossing at the Meuse', and referring to the bridge built by the Romans. The Latin name first appears in medieval documents and it is not known whether this was Maastricht's official name during Roman times. A resident of Maastricht is referred to as Maastrichtenaar whilst in the local dialect it is either Mestreechteneer or, colloquially, Sjeng (derived from the formerly popular French name Jean). It is not known when the Romans arrived in Maastricht, or whether the settlement was founded by them. The Romans built a bridge over the Meuse in the 1st century AD, during the reign of Augustus Caesar. The bridge was an important link in the main road between Bavay and Cologne. Roman Maastricht was probably relatively small. Remains of the Roman road, the bridge, a religious shrine, a Roman bath, a granary, some houses and the 4th-century castrum walls and gates, have been excavated. Fragments of provincial Roman sculptures, as well as coins, jewelry, glass, pottery and other objects from Roman Maastricht are on display in the exhibition space of the city's public library (Centre Céramique). 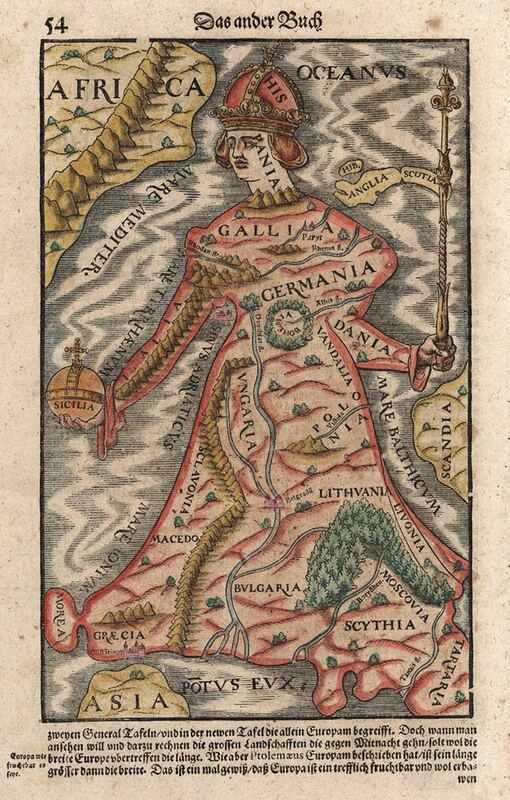 In the early Middle Ages Maastricht was part of the heartland of the Carolingian Empire along with Aachen and the area around Liège. The town was an important centre for trade and manufacturing. Merovingian coins minted in Maastricht have been found in many places throughout Europe. In the 10th century Maastricht briefly became the capital of the duchy of Lower Lorraine. Shortly after 1200 the city received dual authority, with the prince-bishops of Liège and the dukes of Brabant holding joint sovereignty over the city. 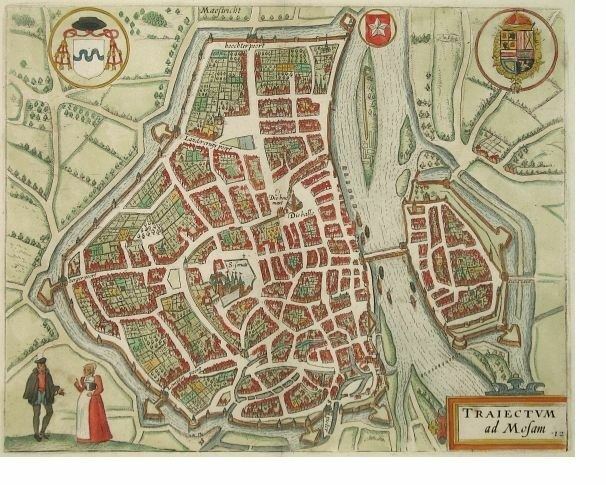 Maastricht received city rights in 1204. Soon afterwards the first ring of medieval walls were built. In 1275, the old Roman bridge collapsed under the weight of a large procession, killing 400 people; a replacement, the Sint Servaasbrug, was built to the north from 1280 to 1298, funded by church indulgences. Throughout the Middle Ages, the city remained a centre for trade and manufacturing of wool and leather but gradually economic decline set in. After a brief period of economic prosperity in the 15th century, the city's economy suffered during the wars of religion of the 16th and 17th centuries, and recovery did not happen until the industrial revolution in the early 19th century. The important strategic location of Maastricht resulted in the construction of an impressive array of fortifications around the city during this period. The Spanish and Dutch garrisons became an important factor in the city's economy. In 1579 the city was sacked by the Spanish army under general Alexander Farnese, Duke of Parma (Siege of Maastricht, 1579). For over fifty years the Spanish crown took over the role of the dukes of Brabant in the joint sovereignty over Maastricht. In 1632 the city was conquered by Prince Frederick Henry of Orange and the Dutch States General replaced the Spanish crown in the joint government of Maastricht. In 1748 the French again conquered the city at what is known as the Second French Siege of Maastricht, during the War of Austrian Succession. The French took the city for the last time in 1794, when the condominium was dissolved and Maastricht was annexed to the First French Empire (1794–1814). For twenty years Maastricht was the capital of the French département of Meuse-Inférieure. Early in World War II, the city was taken by the Germans during the Battle of Maastricht in May 1940. On 13 and 14 September 1944 it was the first Dutch city to be liberated by Allied forces. The three Meuse bridges were destroyed or severely damaged during the war. As elsewhere in the Netherlands, the majority of Maastricht Jews died in Nazi concentration camps. During the latter half of the century, traditional industries (such as the famous Maastricht potteries) declined and the city shifted to a service economy. Maastricht University was founded in 1976. Several European institutions have found their base in Maastricht. In 1992, the Maastricht Treaty was negotiated and signed here, leading to the creation of the European Union and the euro. In recent years, under mayor Gerd Leers, Maastricht launched a campaign against drug-related problems. Leers instigated a controversial plan to relocate some of the cannabis coffee shops—where the purchase of soft drugs in limited quantities is tolerated—from the city centre to the outskirts, in an attempt to stop foreign buyers from causing trouble in the downtown area. Although the so-called "coffee corner plan" has not been entirely abandoned, the new mayor Onno Hoes has given priority to the Dutch government's approach of limiting entrance to 'coffee shops' to Dutch adults only, and to tackle the problem of drug runners in cooperation with the city of Rotterdam (where the majority of drug runners are from). Large parts of the city centre have been redeveloped, including the area around the main railway station, the main shopping streets, the Entre Deux and Mosae Forum shopping centres, and the Maasboulevard promenade along the Meuse. Also, a new quarter, including the new Bonnefanten Museum, a public library, a theatre and several housing blocks designed by international architects, was built on the grounds of the former Céramique potteries near the town centre. As a result, Maastricht looks notably smarter. Further large-scale projects, such as the redevelopment of the Sphinx and Belvédère areas, are underway. The outlying areas of the following villages are bordering the municipality of Maastricht directly, which means among others that in many a case a considerable number of their inhabitants originate from Maastricht. The largest religion in Maastricht is Christianity with 65,1% of the population that is Christian, of whom 92,31% is Catholic. Stationsstraat and Wycker Brugstraat are elegant shopping streets with the majority of the buildings dating from the late 19th century. At the end of Stationsstraat stands the Maastricht railway station from 1913. Museum aan het Vrijthof is a local history museum in the 16th-century Spanish Government building, featuring period rooms with 17th- and 18th-century furnishings, Maastricht silver, porcelain, glassware, Maastricht pistols, and a collection of 17th- and 18th-century Dutch paintings and 20th-century paintings from local artists. Magisch Maastricht/Magic Maastricht, a winter-themed funfair and Christmas market held on Vrijthof square and other locations throughout the city (December/January). Carnival (Dutch: Carnaval, Limburgish and Maastrichtian: Vastelaovend) - a traditional three-day festival in the southern part of the Netherlands; in Maastricht mainly outdoors (February/March). Nederlandse Dansdagen, a modern dance festival (October). 11de van de 11de, the official start of the carnival season (November 11). 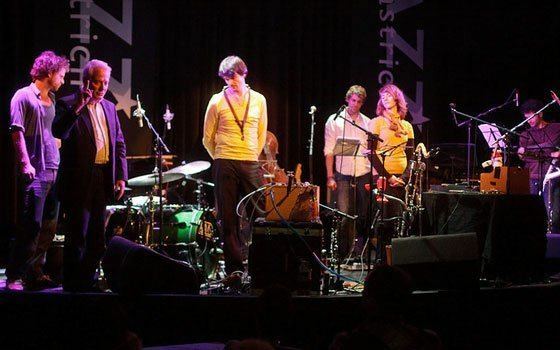 Jazz Maastricht, a jazz festival formerly known as "Jeker Jazz" (autumn). European Model United Nations (EuroMUN), an annual international conference in May and the second largest of its kind in Europe. Jumping Indoor Maastricht, an international concours hippique (showjumping). Maastrichts Mooiste, an annual running and walking event. In football, Maastricht is represented by MVV Maastricht (Dutch: Maatschappelijke Voetbal Vereniging Maastricht), who (as of the 2016–2017 season) play in the Dutch first division of the national competition (which is the second league after the Eredivisie league). MVV's home is the Geusselt stadium near the A2 motorway. Since 1998, Maastricht has been the traditional starting place of the annual Amstel Gold Race, the only Dutch cycling classic. For several years the race also finished in Maastricht, but since 2002 the finale has been on the Cauberg hill in nearby Valkenburg. The aldermen and the mayor make up the executive branch of the municipal government. After the popular previous mayor, Gerd Leers (CDA), decided to step down in January 2010 following the 'Bulgarian Villa' affair, an affair concerning a holiday villa project in Byala, Bulgaria, in which the mayor was alleged to have been involved in shady deals to raise the value of villas he had ownership of. Up until July 1, 2015 the mayor of Maastricht was Onno Hoes, a Liberal (VVD), the only male mayor in the country, who officially is married to a male person. In 2013 Hoes was the subject of some political commotion, after facts had been disclosed about intimate affairs with several other male persons. The affair had no consequences for his political career. Because of a new affair in 2014 Hoes eventually stepped down. On 16 December 2010, the Court of Justice of the European Union upheld a local Maastricht ban on the sale of cannabis to foreign tourists, restricting entrance to coffee shops to residents of Maastricht. The ban did not affect scientific or medical usage. In 2011, the Dutch government introduced a similar national system, the wietpas ("cannabis pass"), restricting access to Dutch coffeeshops to residents of the Netherlands. After protests from local mayors about the difficulty of implementing the issuing of wietpasses, Dutch parliament in 2012 agreed to replace the pass by any proof of residency. The new system has led to a slight reduction in drug tourism to cannabis shops in Maastricht but at the same time to an increase of drug dealing on the street. The A2 motorway that runs through Maastricht in a double decked tunnel. Before 2016 the A2 motorway ran through the city and was heavily congested and caused air pollution in the urban area. Construction of a two-level tunnel designed to solve these problems started in 2011 and was opened (in stages) by December 2016. Maastricht is served by three rail operators, all of which call at the main Maastricht railway station near the centre and the smaller Maastricht Randwyck, located near the business and university district, and Maastricht Noord, which opened in 2013. Intercity trains northwards to Amsterdam, Eindhoven, Den Bosch and Utrecht are operated by Dutch Railways. The National Railway Company of Belgium runs south to Liège in Belgium. The line to Heerlen, Valkenburg and Kerkrade is operated by Arriva. The former railway to Aachen was closed down in the 1980s. The old westbound railway to Hasselt (Belgium) was restored in recent years and will be used as a modern tramline, scheduled to open in 2021. The Dutch and Flanders governments have reached an agreement in 2014 to build a new tram route called Spartacus. It is scheduled to take three years, from 2015 to 2018, and cost €283 million. When it is completed, Spartacus will carry passengers from Maastricht city centre to Hasselt city centre, the capital of Flanders’ Limburg province, in 30 minutes. It will be operated by the transport company De Lijn, with 3 scheduled stops in Maastricht and further 10 in Flanders. Regular bus lines connect the city centre, outer areas, business districts and railway stations. The regional Veolia bus network extends to most parts of South Limburg as well as to Hasselt, Tongeren, Maasmechelen and Liège in Belgium, and Aachen in Germany. Maastricht is served by the nearby Maastricht Aachen Airport (IATA: MST, ICAO: EHBK) – located in nearby Beek and informally referred to by that name – with regular scheduled flights to Alicante (on Ryanair) and Katowice (on Wizz Air), and seasonal and charter flights to other destinations. The airport is located about 10 kilometres (6 miles) north of Maastricht's centre.